Essex Fire Sgt. 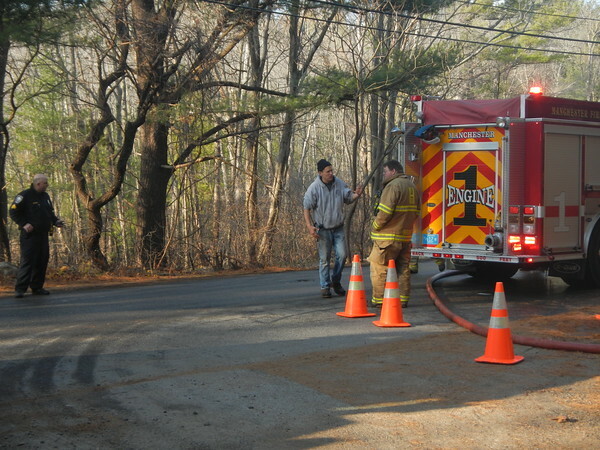 Paul Francis, left, directs traffic on Harlow Street in Essex as fire engines from Essex, Gloucester, Hamilton, and Manchester refill from a fire hydrant. The area of the fire at Robbins Island Road has no hydrants and so trucks took turn shuttling water to the fire.